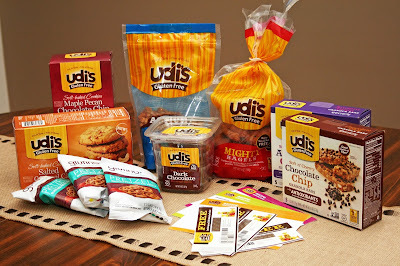 Lazy Gluten Free: #MyGFF Story and an Udi's Giveaway! #MyGFF Story and an Udi's Giveaway! There are so many resources out there now on Celiac Disease that it's almost overwhelming sometimes. When I was first diagnosed in 2008 though, that was definitely not the case. If you "Googled" 'gluten' you came up with a few resources and maybe a couple forums. 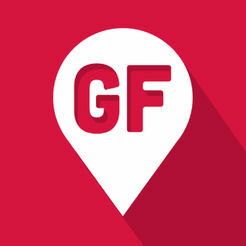 It became apparent right away that I was on my own with trying to figure out how to eat GF. You can read my full diagnosis story here. 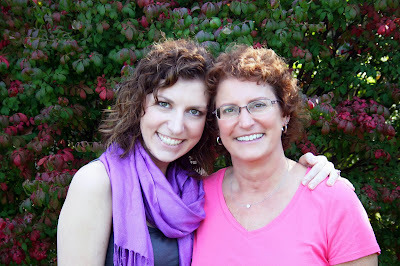 The second I got my little postcard in the mail telling me my diagnosis of Celiac Sprue, my mom and I jumped on the internet and tried to figure out what I could have. The doctor had told me to wait until I talked to a dietitian but I'm really not the waiting type, especially when it comes to my health. And it's a good thing too, since my dietitian tried telling me that I could reintroduce gluten after a few months...clearly she had never suffered a gluten reaction. Ever since day one, my mom has been right there with me finding new recipes and modifying my old favorites. Even now, we share recipes and tell each other about GF products and restaurants we've found. I'm very thankful to have her with me in my gluten-free journey, it definitely makes a GF lifestyle easier, and even fun at times! 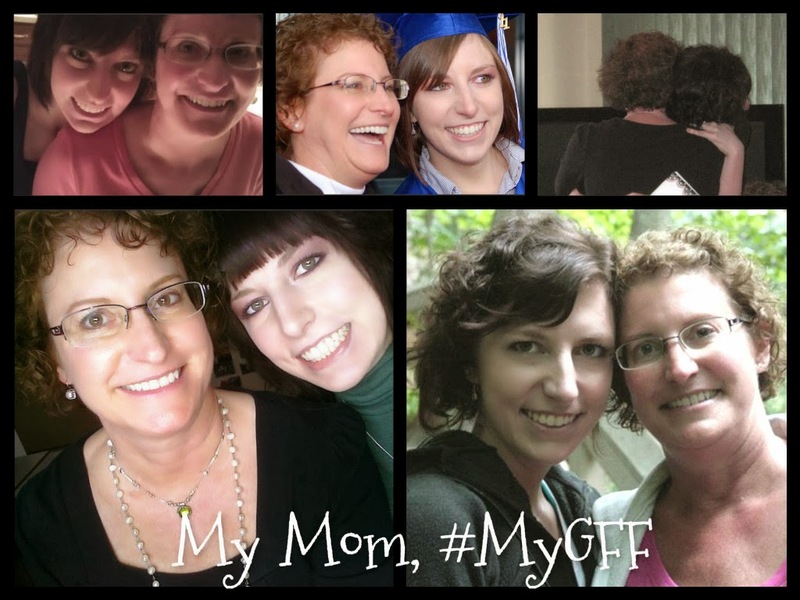 Now that I've shared #MyGFF story with you, I want to know your GFF story! Share it below for your chance to win one of three amazing grand prizes! The three winners will be randomly selected and notified by email. Each prize pack will include a recipe card written out and signed by yours truly, a FREE Udi's product utilized in the recipe, and a coupon for one FREE Udi's product, plus a special gift for the first and second place winners. You're seriously not going to want to miss out on this one! my GFF would definitely be my fiance...he supports both my gluten free and dairy free lifestyle both at home and when we go out to eat. He's the cook in our house and has experimented with GF and DF recipes for me. When we go out to eat he's always double checking the ingredients with the waiter. He's definitely my biggest supporter. I have several friends who go out of their way to make sure the meals we share are gluten free. Whether they invite me for a meal at their home or we are tailgating, they take care of me! I am in the beginning stage of going gluten free due to an allergy test. Didn't put 2 + 2 together with other symptoms, it was all new to me at the time. I've replaced some things and will continue to keep doing so. I have some friends who consistently mock me for being GF (thanks to living in LA and it being the celebrity diet of the moment), but I have others who are great. One in particular recently started working at a bar that is very gluten free friendly and has been nothing but supportive about trying to learn what it means. About 6 years ago, I wondered why I would get so deliriously sleepy after I ate soft, white Italian bread loaf bread. I would realize I would be wide awake in the middle of the day, but nearly 5 minutes after eating white bread, fluffy pizza slice or even pancakes I would fall asleep so fast! I googled "why do I fall asleep after eating bread?" and found many links mentioning being "glutened". I would feel almost as if I were drunk after eating gluten. My brain would get foggy, I would lose all energy and had extremely hard time digesting food. Eating bread would make me pass out for about a 30 minute nap and I would wake up craving more sweets and sugars. The build up of the gluten in my body would either result in horrific cramps and constipation or I would have sick stomach and terrible diarrhea and feel like staying in bed for days. I am grateful I learned what was making me feel so lethargic. It is a agonizing feeling being full and wanting to sleep all the time. Gluten really messes up my daily routine, to the point I was emotionally depressed, unemployed and physically uncomfortable in my own skin (and especially clothes). I have flipped through trying many kinds of diets (from raw, vegan, vegetarian, gluten-free), and it was not until I quit eating gluten, that I lost a lot of weight and felt confident enough to become more active in life and keeping track of my health. I never went to doctor for these concerns, until I had a miscarriage. It was then a doctor told me I was diagnosed with PCOS (polycystic ovarian syndrome). It all made sense to me then. Though it is hard to learn I have health concerns to be extra cautious about, I am grateful to find supportive articles and groups online and have friends and supportive fiancee. I see hope there is hope for women like myself to one day be a mother by following a gluten-free, low sugar diet and to be surrounded by love for myself and environment in which I live in. I am learning more about food everyday, which I have always been passionate about being a daughter of a chef. I have taken my experience to my last job and was able to help provide and discover many gluten-free options in Indian Cuisine. I aspire to collect and create recipes for cuisine all over the world so all may be happy and not feel left out at the dinner table. I hope all may realize that just because things like Tums and Pepto-Bismal exist, that society should not be consuming them daily! It's time to stop the symptoms instead of just medicating them. I have recently discovered that I have a wheat allergy and have decided to go gluten free for the health benefits. I am happy I found your blog and can use all the help I can get! I actually discovered my celiac disease on accident. For 20 years I have battled joint pain, fatigue, and disgestive issues. I recently decided to put my oldest daughter on a gluten free diet for health issues she was having to see if it would help her. I didn't want her to be on it alone, so I told her I would do it with her. Within 2 weeks every symptom I had was gone and has not returned unless I get an accidental ingestion. It also explained the health issues that have plagued my daughter since she was born. We will be seeing a GI doc for her as soon as we get a referral. Though it's hard learning a new way to cook and not eating out much, I am so overjoyed to be living life every day feeling great! My Gluten Free Story is that I started in February. I have an autoimmune disease and was always tired and in pain. Since gluten leads to inflammation it was suggested by my rheumatologist to try eating gluten free. After much thought I finally decided to try it. I was new to gluten free and only knew of one friend that was gluten free. On the first trip to the grocery store I almost cried in the store. It was all so overwhelming... what can I eat? What can't I eat? What am I looking for? It took a while for me to get comfortable with it, but now I can't imagine eating any other way. I have just recently stumbled across your blog, and absolutely love it! I was diagnosed with Celiac Disease 2 years ago, but am always looking for new recipes and ideas for meals! You have such great stories! So grateful to have found you! My GF story started this August. My doctor told me that I should get tested for Celiac because it runs in my family. I went back to school right after he asked me to get tested and then I forgot to when summer started. I wasn't having any problems so I wasn't concerned, but I knew I needed to get the test done before I went back to school. I got the test done and found out that I have Celiac. It has been really hard being at school and trying to eat gluten free. A lot of things I never realized would have gluten in them did. It really hit home when I wanted to have tomato soup but didn't want to make it myself. I went around Aldi and Walmart and had no luck. I went to Tops and found one option in the organic section. The price for a cup of soup was so high that I just walked out and went home. I could not believe that there was nothing that I could eat. There are no easy food options and I have to make most of my food from scratch. It is so hard to do being in college and trying to have a quick dinner. I have had to cook huge quantities in order to have left overs for quick meals. I know it will get easier but it was a hard thing to jump into. Thanks for sharing your gluten-free story! It took my husband six months to figure out what he had. And this was after a general care practitioner told him it was all in his head! He finally went to a gastroenterologist who did an endoscopy and saw that my husband's stomach villi was flat, a sure sign of Celiac. A blood test confirmed it and as of January 2010, we have been eating gluten-free! 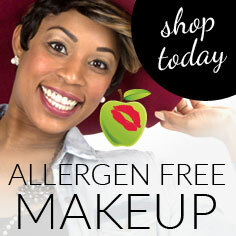 I love Udi's products! I'm so glad we discovered their bread. It really is the BEST gluten-free bread out there. I have a daughter with gluten problems. I was diagnosed in 2010 a few months after having my fourth child (second birth- two adoptions included in the 4). I have had issues with food before but had no idea what Celiac's was or gluten, even. It was like a huge lightbulb went off when I began to eat gluten-free, everything about my energy level, my health, my severe stomach issues were better. It was amazing. I have never turned back! In 2010 when i was first diagnosed it seemed a lot of the food that was ready-made was...well, not good. Now, that has changed a lot. I make a point to buy brands of foods even for my non-Celiac friends and family that are gluten-free and/or make gluten free products. I stock up on Udi's frequently and make most everything from scratch. My kids are about half-way gluten free (because they still love their 'regular' sandwiches and none have symptoms yet) but they eat a lot of gluten-free items as well. Our family dinners and holidays are completely gluten free. I love Udi's products!